Hi... well, I’ve been asked to share a few thoughts with you on the stuff I like on Koinup and I hope to be doing that on a weekly basis. 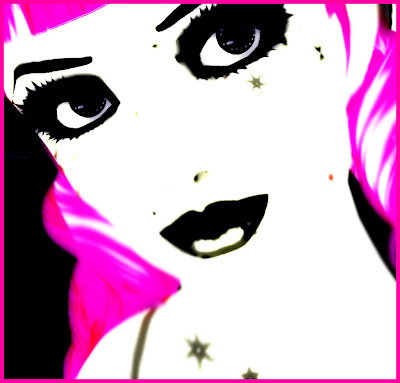 This one from the very talented Magggg, taken in SL, I believe, starts off my little selection this week. Maggg does some very romantic stuff and I will, no doubt, be showing more of her stuff later. You can see the full size version here, its called Plug in Baby. RockerFaerie is, I’m sure, as well known to you all as Magggg and this one I love for its simplicity...it’s very easy to get too complicated with the images we make but this one just cuts through it all and the sixties image is striking and memorable. 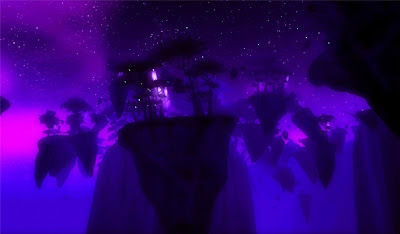 This is Terokkar at Night, a shot from World of Warcraft by another very talented and productive photographer .... Morgana le Fay.. (great name..:)) and the large size lets you get into that evening light in this great piece of landscaping. There are a few of her shots of Terokkar that are well worth looking at. I really liked this one too.. by Starla Grey.. taken in the Sims, its just ooozing with that 50’s screen star feel and is classic cheesecake... makes me smile..:)) again...the original is here and its called Adriana. So, hope that that gives you some new stuff to look round and .....because a know-it-all never learns anything, I am very happy to look at stuff some of you may want to send to me...my email is sorornishi@mac.com...or just comment below. Really interesting, Soror... good to have a wide point of view on what happens in Koinup!